South Korea car manufacturer Kia have introduced their all new three-row SUV, known as the Telluride. The large and affordable SUV will cost around $32,735 for the base model, while the more premium model will cost just around $47,000. Despite it’s relatively low price, the Telluride comes equipped with a range of high-end features and equipment as standard. Such as, 18-inch wheels, eight-passenger seats, 8 inch touchscreen, Apple CarPlay, a 3.8-litre V6 engine. Optional extras include front heated eats, 10 inch touchscreen, dual sunroofs, 360-degree camera and LED headlights. In fact, it’s the pictured Telluride SX that’s been grabbing a lot of attention, for it’s spectacular design and sporty combination of paintwork with black alloy wheels. The Telluride was officially presented at the 2019 Detroit auto show in January and is said to go on sale within the next few months. 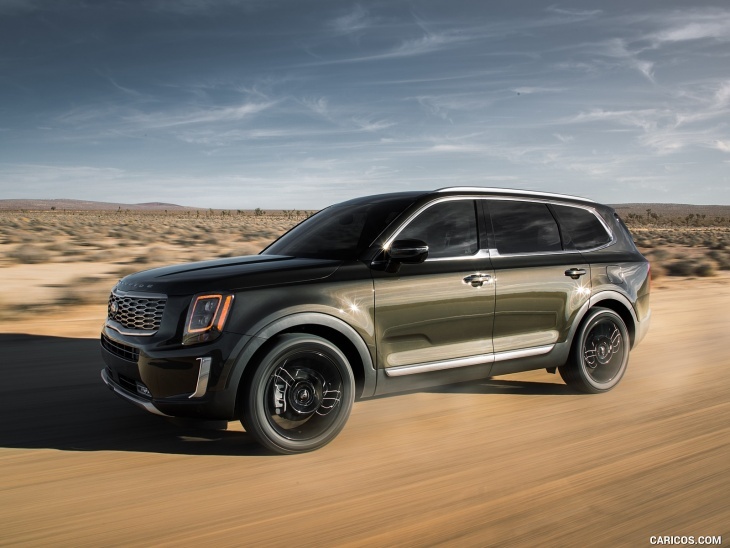 Here are some release shots of the affordable and stylish Kia Telluride.